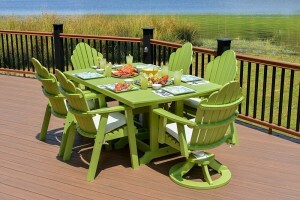 Welcome to quality and affordable patio furniture! 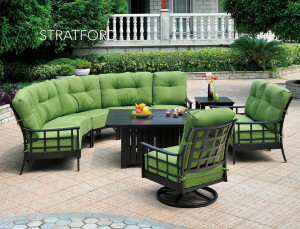 Located in Huntsville Alabama, we offer a wonderful selection of quality patio furnishings that will last for many years. We have Amish made patio furniture including Adirondack chairs, planters, outdoor dining tables and chairs, end tables, coffee tables, bars and barstools, rectangle picnic tables, octagon picnic tables, garden benches, park benches, vinyl swing arbors, porch swings and more! 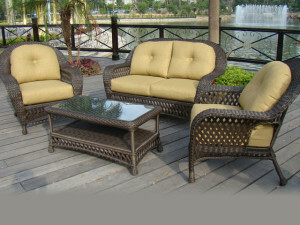 We also carry All-Weather wicker outdoor furniture including sofas, coffee tables with glass, sofa cushions, club chairs, swivel gliders, ottomans, throw pillows, recliners and more! 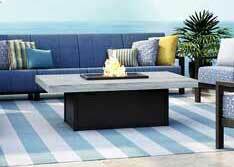 A comprehensive line of affordable luxury outdoor patio furniture offered in 30 collections. Pieces include tables, chairs, chaises, loveseats, sofas, ottomans bar and balcony stools/chairs stools featuring durable aluminum, steel, and cast frame construction. Products can be customized with an array of frame finish colors and fashionable fabric options. Table top options include metal, cast, glass and a broad selection of Natural Series products.